New week, new games! This week we’re back with a whole squad of new games for you to play and fall in love with. Need another reason to look down below? All of the games we’re highlighting this week have unique and charming art styles. Want to check these games out for yourself? Check the full details out now. Halflight came out of the blue for me. I never heard of the game before its launch this week, and I’m absolutely blown away. 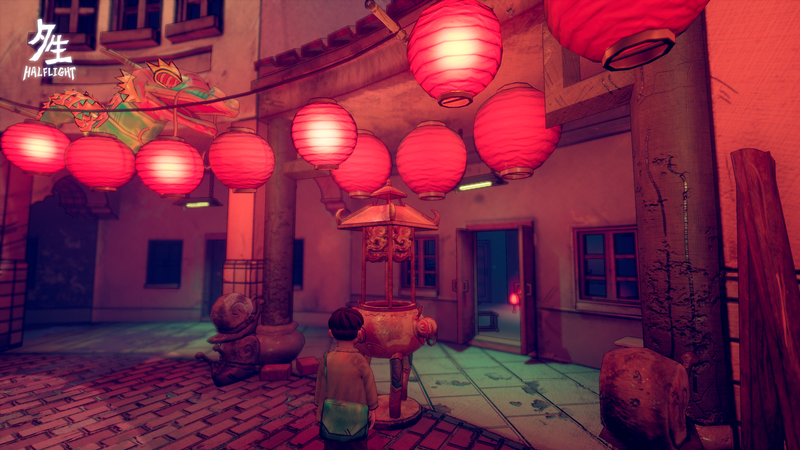 Halflight is a strange, surreal look at 1940s Taiwan that is a delight to explore. The game bills itself as a sort of puzzler, but I spent most of my time with the game taking in the environment and marveling at the details of the game. Throughout my brief playtime (don’t worry I’ll go back and play more of it) I encountered strange Pan’s Labyrinth-esque characters, semi-normal city streets, and some beautifully mundane moments that brought the game to life. Halflight is a game that deserves to be brought into the public consciousness and talked about more. Check it out now. I’m really excited to finally be able to feature We Know the Devil on the blog. 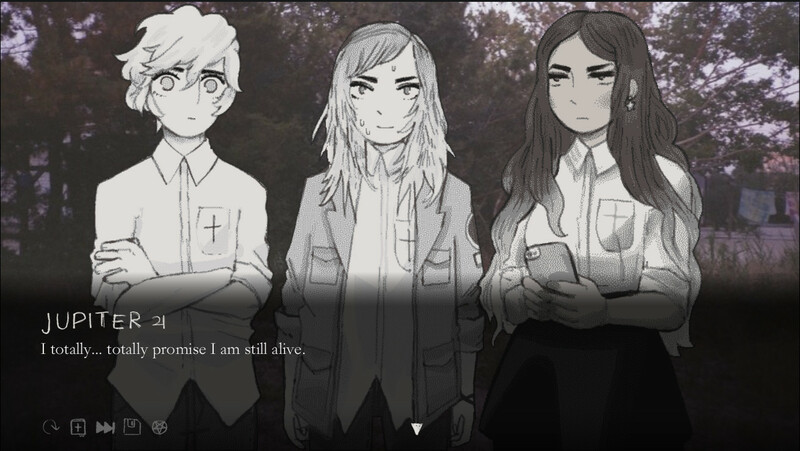 It’s a great love triangle simulator from the team behind Heaven Will be Mine that takes a wild cast of girls into the woods of a bible camp with a dark secret. Your choices determine which pair of our three heroes end up together, while they wait for satan to show up in the woods. It’s a unique adventure that has a brilliant look and great character writing. We may be past Halloween, but find some time for occult relationships with We Know the Devil. I’ve always wished I liked the board game Risk. The idea of a globe-spanning strategy game is great, but I hate managing tons of little plastic dudes and leaving their fates up to chance. Fortunately Of Gods and Men fixes both of these points. 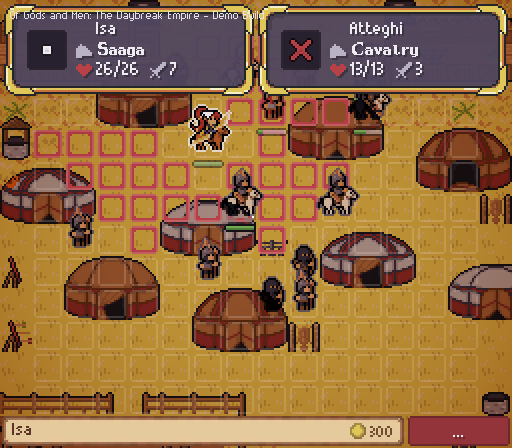 Of Gods and Men takes a top down strategy RPG approach and brings in Risk’s large map size. As you move your troops into different areas, you do battle on a micro scale before you pull things back and build fortifications and benefits for your entire nation afterward. In practice this becomes a sort of fusion of Civilization and Fire Emblem in a way that takes the both of best games in a way that really works out.